The nation’s favourite choice of window material that was first popularised in the early 1980s, PVCu Windows from Associated Windows in Bristol retain their inherent flexibility with some subtle modern tweaks. Known predominantly for their low maintenance tendencies which make them perfect for contemporary homeowners who want to get on with their busy lives, we can supply our PVCu windows in Filton, Bristol and the surrounding area. Our low maintenance windows can be installed in both chamfered and sculptured styles to better suit any need or preference. Opting for low maintenance PVCu windows means being able to enjoy the flexible pvcu window style, yes, but also a relatively low-cost solution that lets you reap your finances back thanks to premier energy efficiency. Boasting fully-enclosed five chamber casement windows design, PVCu windows from our range come in a multitude of styles from casement to flush sash pcvu windows, all excelling at trapping the precious heat present in your home, installed A rated as standard. In the past you really didn’t have much of a choice when it came to window colour – it was white, or nothing. Homeowners seeking to add a little more character to their home can now rest easy knowing that each of our PVCu windows can be customised with unique colours that never fail to make your home more distinct. 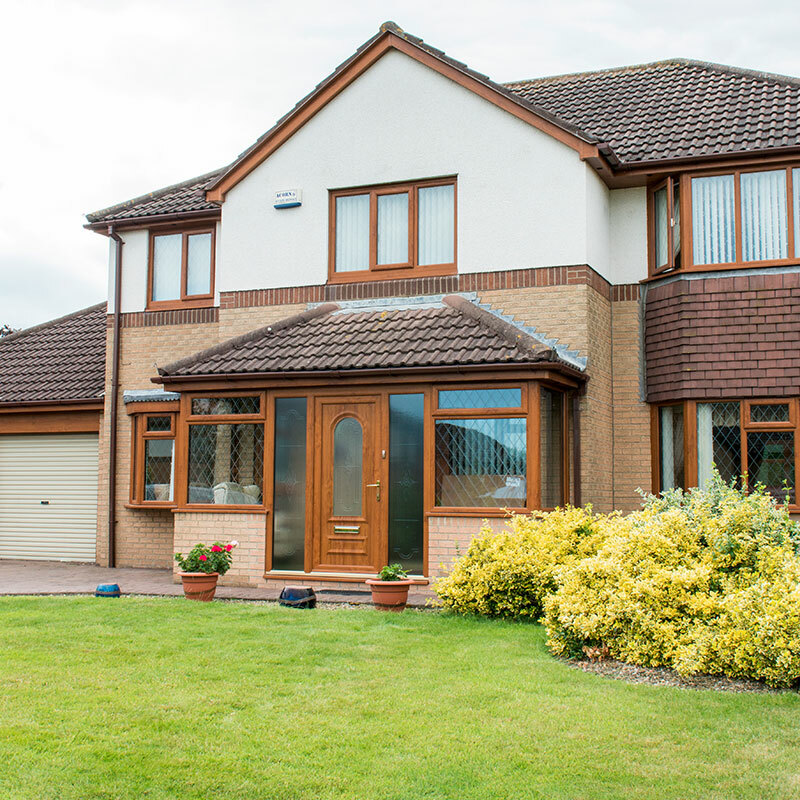 Coloured PVCu windows will help to transform the outward appearance of your home, whether you like the idea of a distinctive red window profile, or something a little more subtle such as duck-egg blue. Associated Windows offer over 150 individual colour tones with all of our PVCu products, giving you the necessary tools to make a true style statement. We supply all of our PVCu windows with a range of framing and beading options depending on your required needs. There are profiles for bead choices that include chamfered, scotia and ovolo shaped designs – whichever profile you choose you can be assured that our team will be installing one of the highest quality PVCu windows on the market. We offer a wide range of decorative and high quality glazing options with our window range: from creative astragal bar patterns and stained glass to bevelled and textured glass designs – not to mention a host of other lead and obscure glass options. Astragal bar patterns that would typically sit ‘pane over pane’ on your window were originally needed to hold together small squares of glass sitting in the frame. Although no longer a necessity, we continue to offer this a great way of letting homeowners achieve their desired authentic look be it Georgian, Victorian, or Edwardian in design. All of our PVCu windows boast a selection of additional hardware that helps introduce a greater sense of security whilst never impeding on style or making the window unsightly. Top hat fixing points and screw ports allow for increased protection and better technical performance, warding off any potential intruders that may attempt to break in. 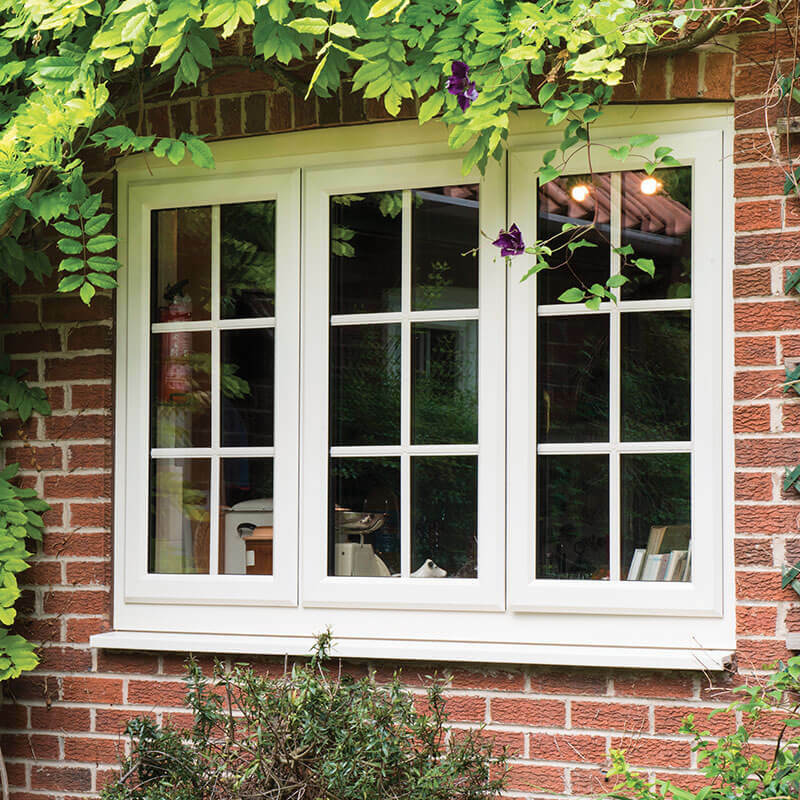 You can enjoy complete peace of mind with our range of PVCu windows. Each window fitted by our team integrates shootbolts, ESPAGS and other accessories from MACO to ensure that forced entry into the home is a near impossibility. Having manufactured the industry’s leading security products for over 65 years, we work regularly with them to so that every installation comes endorsed by the Maco secure Plus Guarantee Scheme. If you’d like to transform your home into one of the most energy efficient on the market, Associated Windows’ range of PVCu windows are more than up to the task. We supply windows with a Window Energy Rating (WER) of ‘A’ rating as standard, and they can achieve impressively low U-values. Every PVCu window installed by the team at Associated Windows makes use of a profile that features a five multi-chamber design internally, making it easier to trap the heat generated by your home. Any property will be able to remain warmer in the winter and cooler in the summer.